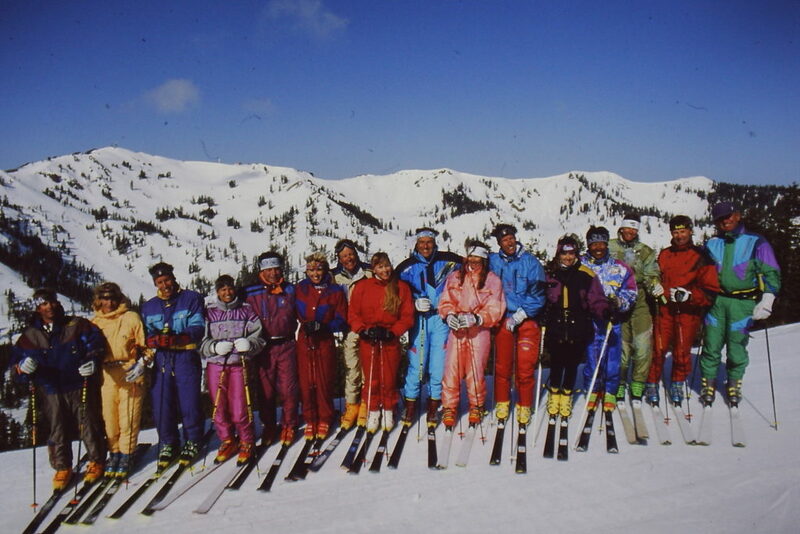 People, a category that includes skiers, are creatures of habit. They repeat their routines, time after time, perhaps occasionally questioning their wisdom but almost never altering the patterns of behavior they’ve inculcated after decades of repetition. I realize I cannot stop people from doing the same goofy stuff they’ve come to embrace as normal, but my quixotic nature refuses to accept defeat. 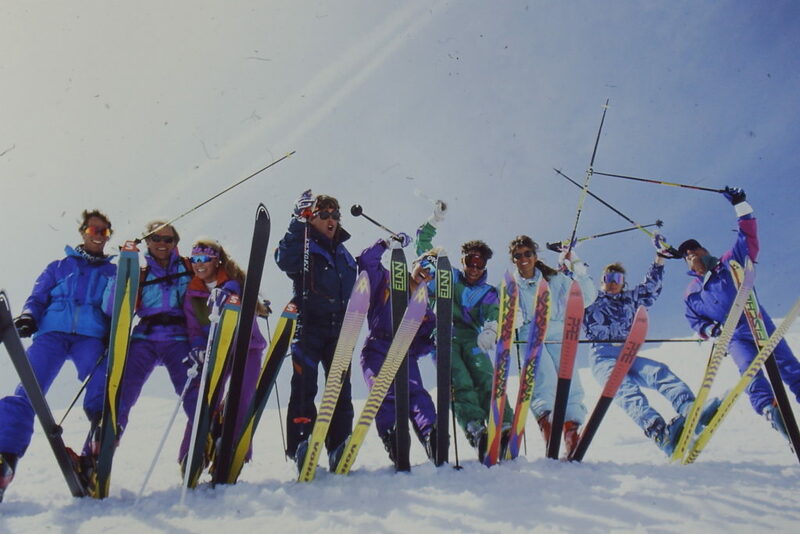 So in hopes that some of these suggestions end a cycle of self-abuse that has thus far successfully resisted change, here are a few ideas of how to make your skiing life a little bit better. I’ve been cavorting at Snowbird the past four days, my excuse for not having pertinent pix to illustrate this piece. I’m substituting more photos of the Snow Country Magazine Test Team, all provided by Larry Prosor, who still has game-show-host quality hair. We open with Tina Vindum’s unique blend of power and enthusiasm. 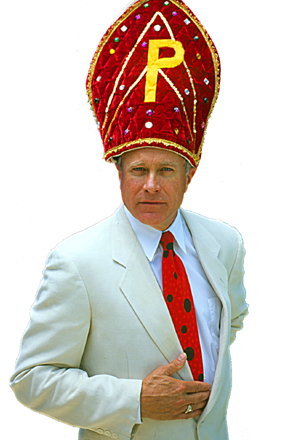 As Billy Crystal once observed, “If you look marvelous, you feel marvelous.” The reverse is also true: if you look like a moron, your self-esteem will suffer and soon you’ll be left to wonder why you so often ski alone. I can’t improve your fashion sense, but I can at least help you look a bit more like you know what’s going on. Before you march off to the lifts, do a final checklist as if you were going to a photo shoot. This means all zippers are zipped up, your ski pants are pulled down over your boots – which are neatly buckled under mild tension – and your goggles are affixed to your helmet and not flopping around like a gill-hooked trout. If you also run through this same checklist before every descent, you’ll avoid the embarrassment of a small child (who doesn’t belong to you) tugging on your sleeve to inform you that your pockets are open. If your doofus instincts are strong, you can observe the Photo Check Rules and still look like a nearly complete doofus – by attaching faux moose antlers to your helmet, for example – but at least you won’t look like a complete doofus. And that’s a start. What a cast we had circa 1993! L to R: Kim Vandeweghe, Kim Reichhelm, Pam Fletcher, Scott Kauf, Patti Sherman-Kauf, Corty Lawrence, moi, Kate McBride, Tina Vindum, Bill Hudson, Cameron Boyle, Robbie Huntoon, Bob Ormsby, Astrid Walti, Wayne Wong. 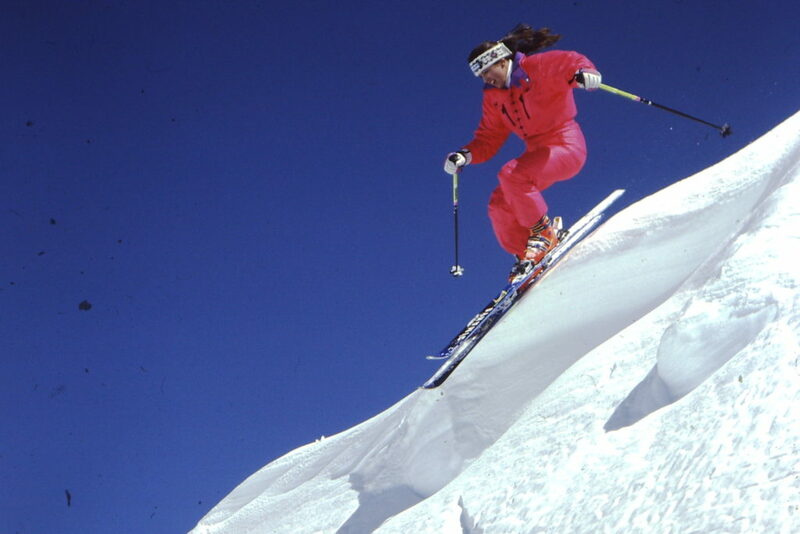 I’ll get right to the point: thinking and skiing don’t mix. 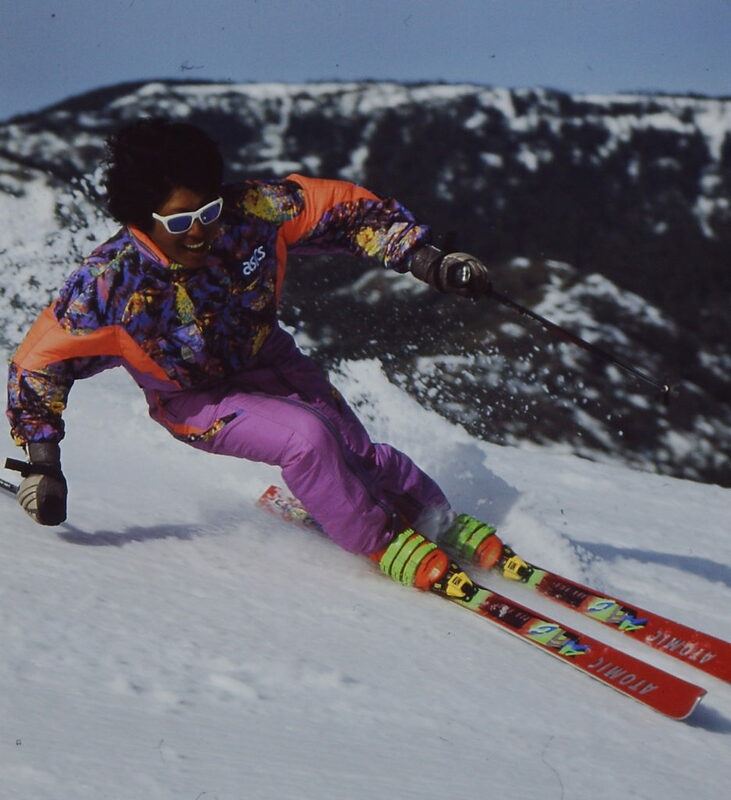 Think about skiing beforehand, when you’re bored at work, in your dreams, even just before you take off on a run, but not during your actual descent. 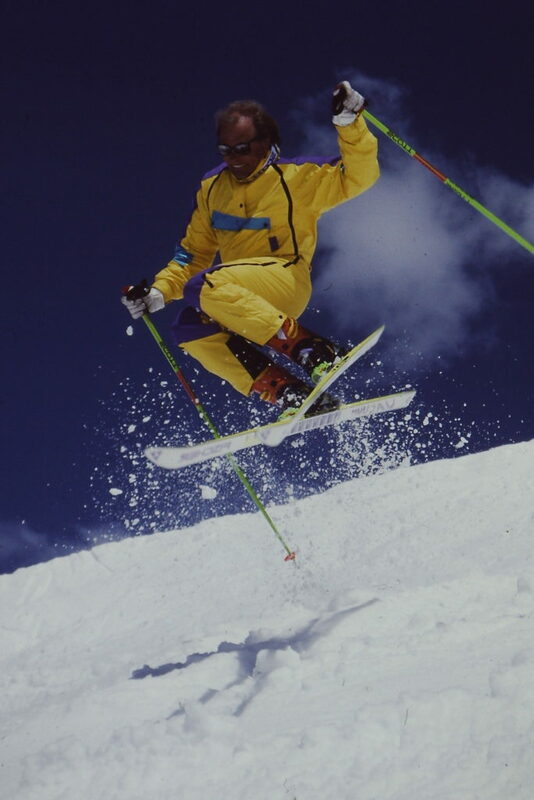 While skiing I want you to dissolve into pure energy, become part of the gravity stream and flow downhill without any Voice in Your Head telling you what to do. Getting your inner critic to shut the hell up isn’t as easy as I’m making it sound. You need help to silence the monkey chatter in your head. The trick is the adoption of a trigger mechanism that sticks a sock in the monkey’s mouth, an automatic shut-off switch that turns your mental focus from inward to outward. Wayne Wong always leaves an indelible impression on one’s retinas. The trigger can be any action that fits into your pre-flight checklist, such as clearing your goggles by pulling them off your face for a moment or clicking your poles together. (I happen to be a pole-clicker.) Your trigger shouldn’t take more than a second and you must always obey your own command by starting downhill immediately. The sequence of events is: check your surroundings for other skiers, noting their position and speed, then visualize your first turn, hit your trigger and go! 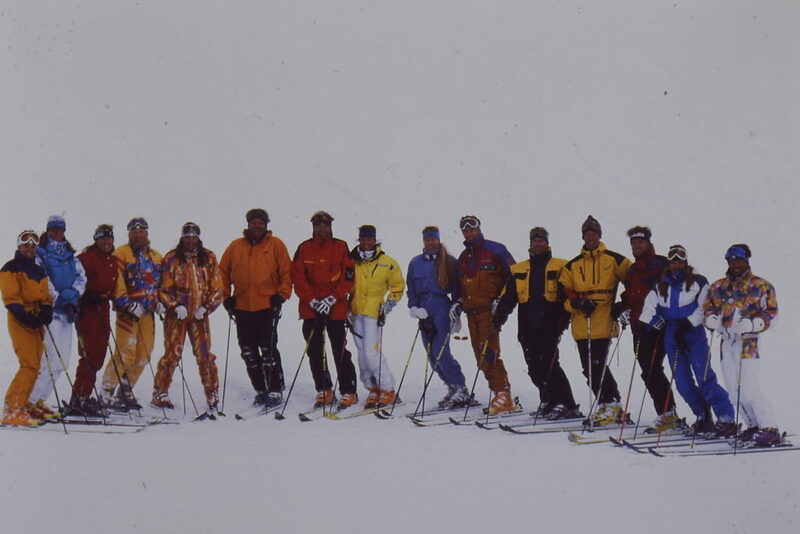 Another group shot from a 1992 photo day. L to R: Robbie Huntoon, moi, Tina Vindum, Cameron Boyle, Susan Chappell, Hansi Standteiner, Kim Vandeweghe, Erica Standteiner, and the late, very great and much loved Stu Campbell. 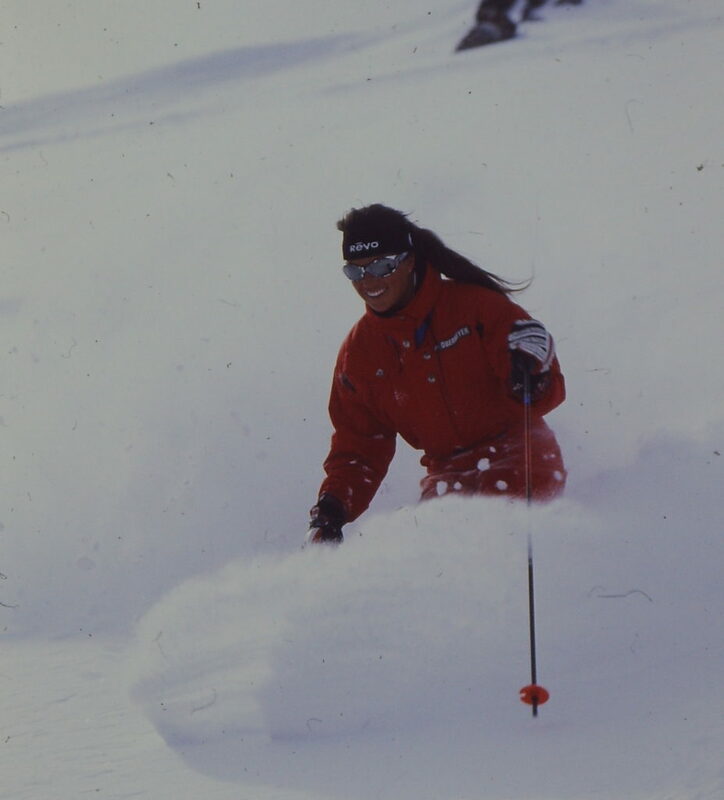 I know – what has walking got to do with skiing? A lot, actually, but that’s not my point here. My message instead is to battle fatigue by not outwardly surrendering to it. If you treat skiing like a sport instead of an activity, it will wear you out. Even if you’re having a great day, by noon you can feel as though you’ve gone ten rounds with Ali. When you’re tired, your whole body sags. If you want to see how people fare after three hours of skiing, sit by a staircase in the base lodge. Skier after skier will pull himself or herself up by the bannister as if it were a lifeline. The majority will be bent nearly in half, their eyes downcast, their expressions vacant, ready to surrender to the grinding, implacable forces of nature. Kate McBride won 7 24-Hour of Aspen enduros with 3 different partners. Her incandescent smile won the hearts of every man who ever met her. Have some dignity, dammit! Unless your spine is permanently deformed, stand up! Stop looking at the next step like it might be your last and get your chin up and look ahead as if life still holds some promise for you. Will you be any less tired? Not immediately, but good posture is a close ally of a good attitude. If you let your fatigue set the tone, your muscles will get the message and collapse on cue. If you want your body instead to find the reserve tank that will carry you through the afternoon, send it a signal that you mean business. Walk tall, look ahead, breathe. A styling Tamara McKinney makes a graceful entrance on the top of Alpine Meadows. When customers complain to me about pain in their arches, there are many possible culprits including not enough support under their feet or too much. But the most common cause isn’t in their boots; it’s the skier’s automatic defense mechanisms kicking in. 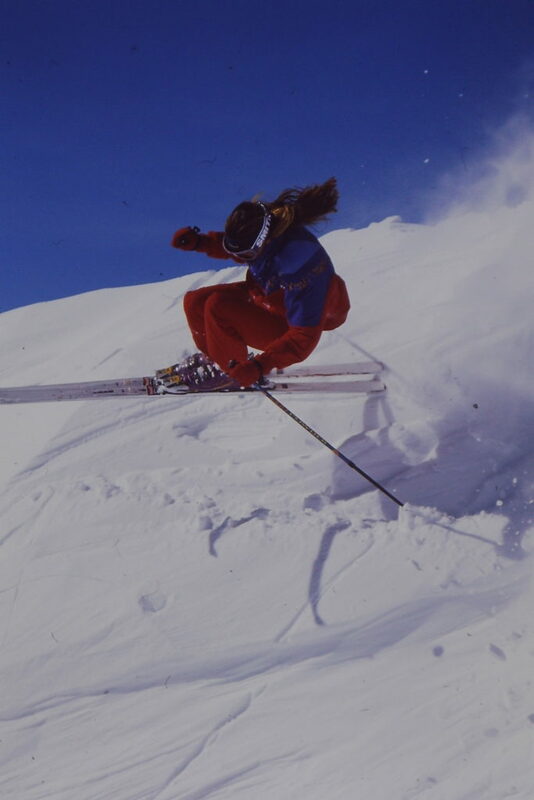 When confronted with a dicey situation, your body goes into a protective mode that in skiing takes the form of leaning back or into the hill, as if proximity to the ground will mitigate whatever impact may loom ahead. (It won’t, but it will end the suspense sooner rather than later.) Flat light, fog or any other low visibility condition will trip the fear wire that tenses every muscle from your tootsies to your scalp. Okay, you’ve seen several group shots: can you name everyone here? The muscles we’re concerned with here are those in your arch, which go into Def-Con 5 defense mode as if you were falling out of a tree and your feet are looking desperately for something to latch onto. When your arch is tensed nonstop it sends out a pain signal intended to stop whatever it is you’re doing. It’s very effective at making you stop skiing. The solution is simple: relax your feet. No other means other than conscious intervention will convince your arch to cut it out. But to stop the cramping, you first have to be aware you’re both victim and assailant. As the old cartoon character Pogo noted, we have met the enemy and they are us. Astrid Walti displays the derring-do of a stuntwoman, her summer job. So when you’re tense and skiing like a bag of donuts, the first step to recovering your skills is to relax your feet. You don’t need to pull over or change how you’re skiing; you can perform this miracle while in transit. Once you learn this recognition-to-relief process, cramping arches won’t plague you anymore. With a wave farewell to the past, we turn our attention to the future as I head off to see the first glimpse of what’s coming next year.